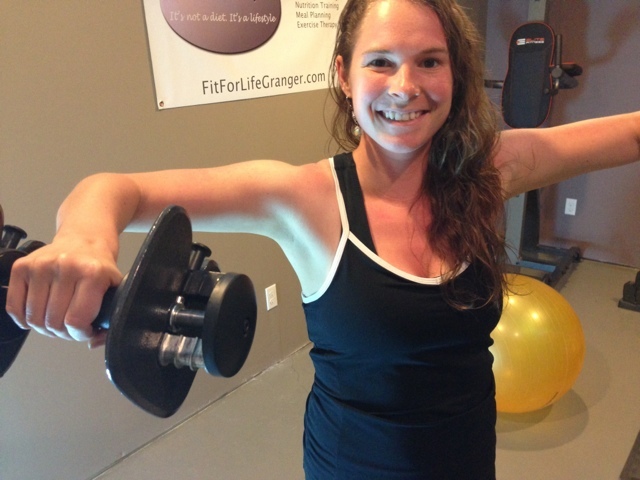 Lifting light weights will give enough definition to the arms. The important thing to remember is LESS REPS brings more definition. Why? Because when you lift heavier you tear those muscle fibers and they have to rebuild, creating more muscle and speeding the metabolism. Your body needs to be unaccustomed to the load you are bearing for change to occur. It's called the overload principle. So shoot for 6-12 reps instead of 15-25 reps. 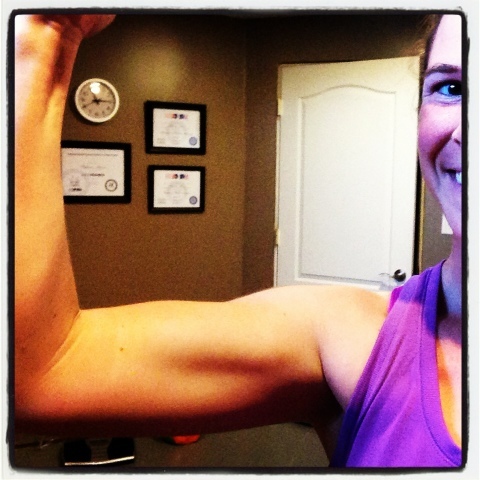 If you want a defined arm then you need to work more than just your biceps and triceps. Your arm is made up of many different muscles, which people don't always realize. You have biceps, triceps, anterior deltoid, medial deltoid, and posterior deltoid. This is great news because that means there are more than 2 exercises to do! So lateral raises, posterior deltoid fly, push-ups, frontal presses, bicep curls, and tricep push-ups are just a few things you can do to work those muscle groups. I preach this over and over but I can't stress it enough! Don't do the exact same routine everyday or every other day. Do not do the same 3 month dvd program over and over and over in a row. You can do it many times over years but don't do it 3 times a year. Take a break and find a new one then go back to it. If you start an arm routine and do the same exercises, same weight, same reps, same routine of exercises then your body will not change after a few weeks. Your body adapts so quickly. It keeps up better than you think. So when you start a new program you will see success, but if you think you can continue doing it over and over and get more results without changing anything then you will get discouraged when you plateau. SO....start a routine and after a month change it. If you are using 8 pound weights, up to 10 pounds. Look up variations of exercises so you aren't doing the exact same ones over and over. 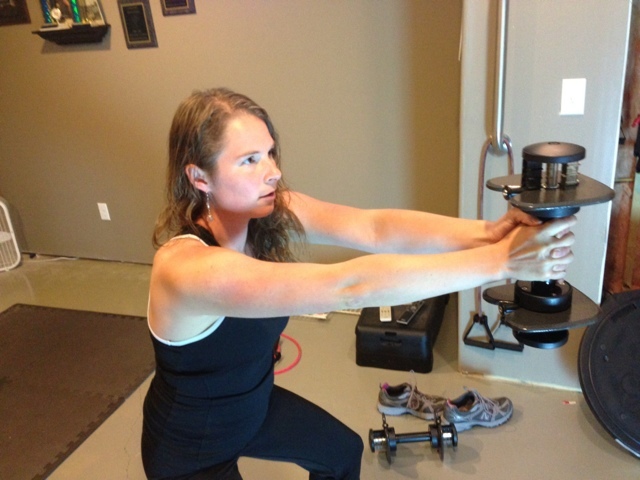 Target one or 2 muscle groups and work them to exhaustion, as opposed to working every muscle group in every workout. 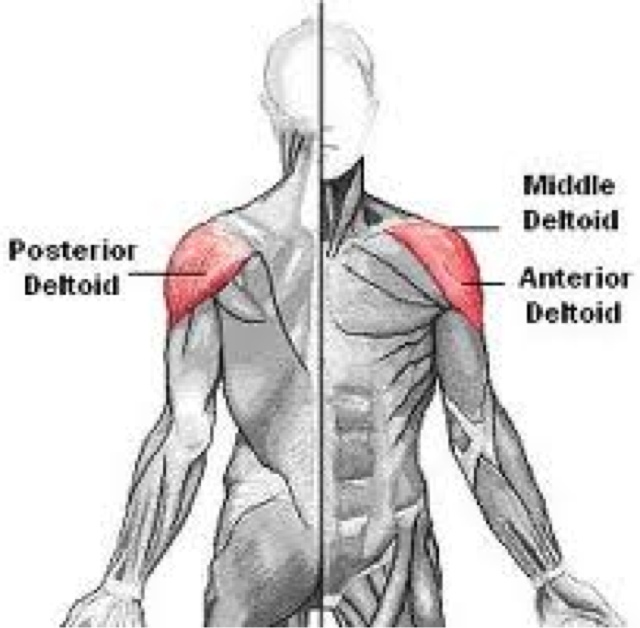 For example, do different exercises that only target the 3 heads of your deltoids (ant, lat, post) without working the biceps or triceps. I hope this helps in your fitness journey and if you have questions, ask!